The Bermudian Springs School District serves a population of about 13,000 people spread across the East Berlin and York Springs boroughs, as well as the villages of Hamilton Township, Reading Township, Latimore Township, Huntington Township and Idaville. The District covers about 75 square miles in which about 84 percent of adults are high school graduates and 16 percent of adults are college graduates. The District itself includes about 137 teachers who serve just over 2,000 students. Schools include Bermudian Springs Elementary, Bermudian Springs Middle and Bermudian Springs High School. The District had previously operated elementary schools in York Springs and East Berlin. Today, it only operates Bermudian Springs Elementary for elementary school. The District completed a significant renovation project at Bermudian Springs High School in the spring semester of 2008. Looking for a home in Bermudian Springs School District? Whether you’re moving to the area for work or simply want to enjoy the small-town lifestyle available in communities like Idaville, York Springs and East Berlin, don’t consider buying a home until you call your Bermudian Springs School District real estate experts at CENTURY 21 Core Partners. We specialize in gaining a deep understanding of school districts in and around the York area, because we want to be a valued resource to you as you consider the best move for your family. The area around Eastern Berlin and York Springs is a great place to seek a home. The area has a rich history and many historic and scenic locations. Naturally, things will be even better once you settle in and learn your way around. To help, here’s a little guide to the various services and important locations you’ll find after you choose relocation and a home for sale in the Bermudian Springs School District area. You’ll have no problem finding a bank in the Bermudian Springs School District. BB&T in East Berlin is a popular choice, and there are multiple Wells Fargo and Adams County bank options. If you’re looking for fresh, quality or organic food, head over to family-owned Apple Valley Creamery on Germany Road in East Berlin. Other grocery store options in the Bermudian Springs School District include Neil’s Shurfine Market, Giant Food Stores and Gardners Market. For reasonably-priced, fresh beef and pork products, visit Hughes Meats on Lake Meade Road in York Springs. You’re never far from great shopping options when you live in the Bermudian Springs School District area. Take a trip to Camp Hill and visit the famous Capital City Mall or head out to the Outlet Shoppes at Gettysburg for amazing deals on just about everything. There’s no shortage of great dining options in the Bermudian Springs School District. For simple, affordable, tasty fare in a friendly environment, try a homestyle meal at the Hillside Family Restaurant & Diner in York Springs. For great food paired with some delicious beer and wine options, visit the Sidney Tavern in East Berlin. Residents of Bermudian Springs School District also head to Rocco’s in York Springs when they have a pizza craving. Some of the other wide-ranging options in East Berlin include the Koi Asian Restaurant, the Smokehouse Tavern and the Chowdown Family Restaurant. There’s something for every mood and every group when it comes to dining in the Bermudian Springs School area. A home is not truly your home until you’ve visited the local park. Whether you’re a nature enthusiast or are looking for a place for your kids to have fun and play, you’ll be pleased to know that central PA’s reputation for great parks is well-earned. Wherever you are in the Bermudian Springs School District area, you’re not far from the Pine Grove Furnace State Park in Gardners, which features swimming, camping, kayaking, biking, hiking and more in a lush, well-cared for environment. If you can, try to get to the Gifford Pinchot State Park in Lewisberry, which features the 340-acre Lake Pinchot inside of over 2,000 acres of beautiful park surroundings. It seems like there’s always something happening in central PA, and the Bermudian Springs School District provides easy access to all of it, like the York Expo Center on Carlisle Avenue in York or the National Apple Harvest Festival in Biglerville. If you’re looking to host your own event, get in touch with the guys at The Back Room at 130 W. King St. Rear in East Berlin. Start your search for Bermudian Springs School District homes for sale on our website. Our database includes a comprehensive listing of Bermudian Springs School District real estate, complete with detailed information on each home, photo galleries and more. When you’re beginning your search, it’s important to research different school districts and homes for sale in Bermudian Springs School District. Our website lets you conduct research quickly and efficiently. The CENTURY 21 Core Partners advantage begins with a team of deeply experienced agents. These real estate professionals have an in-depth understanding of Adams County homes for sale and Bermudian Springs School District real estate, and they can help you narrow your search to the homes in the school districts that best fit your family’s unique needs. Don’t navigate the process alone when trying to find the perfect home. Take advantage of the knowledge and experience at CENTURY 21 Core Partners. We can help you find homes for sale in Bermudian Springs School District, or homes for sale in another district that better meets your needs. Our insights are only a phone call away. 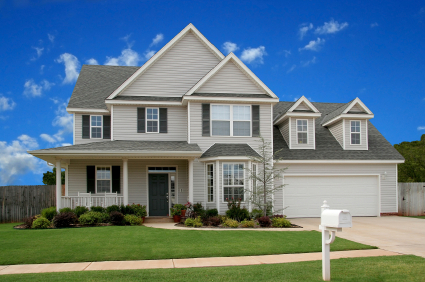 Contact us today about Adams County homes for sale and the best school districts for your needs.